Freighters like this don't go to Europe or East Asia. 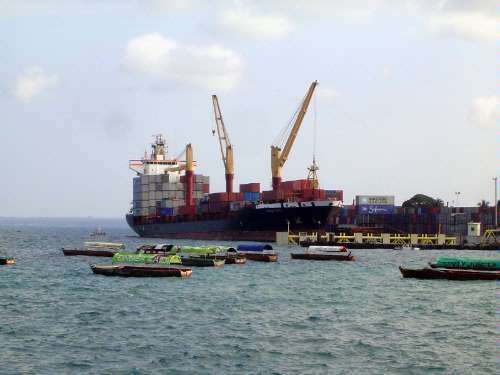 Instead, they head to ports specializing in transshipment such as Salala, on the south coast of Arabia. Fittingly, the old elite Zanzibaris came from Oman. Location, location, location.